Christopher Columbus brought lemon seeds to Hispaniola in 1493, introducing lemons to the Americas. Later Spanish immigrants cultivated lemon orchards in Florida, Arizona, and California, where most of the lemons in the United States are grown today. Rich in vitamin C, lemons were among the foods used to combat scurvy among sailors. Lemons also contain vitamin A, as well as calcium, magnesium, phosphorus, and potassium. One medium raw lemon provides 17 calories, 5.4 g carbohydrate, 0.6 g protein, 0.2 g fat, 1.6 g dietary fiber, 17 IU vitamin A, 31 mg vitamin C, 6 mcg folic acid, 80 mg potassium, 15 mg calcium, 9 mg phosphorus, and 5 mg magnesium. Limes are sweeter than lemons and they also contain more citric acid, a compound essential to the metabolic process that burns carbohydrates, proteins, and fats to turn them into water and carbon dioxide and release energy in the body. Like lemons, limes are an excellent source of vitamin C. It�s limes that were issued to English sailors to prevent scurvy in the 19th century. They also contain calcium, potassium, and vitamin A. There are two main types of limes�Key limes and Persian limes. Key limes are smaller, darker in color, and thinner skinned. The typical supermarket lime is a Persian lime. One medium raw lime provides 20 calories, 7.1 g carbohydrate, 0.5 g protein, 0.1 g fat, 1.9 g dietary fiber, 7 IU vitamin A, 19 mg vitamin C, 5 mcg folic acid, 0.15 mg pantothenic acid, 68 mg potassium, 1 mg sodium, 22 mg calcium, 12 mg phosphorus, 4 mg magnesium, and 0.4 mg iron. Lychee fruit is an excellent source of vitamin C and potassium, as well as a good source of copper and phosphorus. In traditional Chinese medicine, lychees are used as a pain reliever, as an aid to digestion, and to promote health and long life. They were also used as a treatment for coughs, a sore throat, and swollen glands. Recently, two Chinese studies have suggested that lychee has potential as a cancer-fighting agent. Research at Zhejiang Gongshang University in Hangzhou, China, found that polyphenols from lychee fruit pulp appeared to slow the growth and proliferation of cancer cells. It appeared to be especially effective against human breast cancer. A second study, at Sichuan University in Chengdu, China, also showed lychee polyphenols to inhibit the growth of liver cancer cells. Although the research has not established that the lychee flavonoids work the same way inside the human body, the implications are hopeful. Ten medium raw lychees provide 66 calories, 16.5 g carbohydrate, 0.8 g protein, 0.4 g fat, 1.3 g dietary fiber, 72 mg vitamin C, 14 mcg folic acid, 171 mg potassium, 5 mg calcium, 31 mg phosphorus, and 10 mg magnesium. Nectarines are a type of peach and, like the peach, have the golden-yellow, orange, and reddish coloration that is typical of fruits and vegetables containing lutein. As one of the pigments found in the retina of the eye, lutein may help prevent macular degeneration. Nectarines are also a good source of carotenes, vitamin A, vitamin C, potassium, and niacin, as well as fiber. One medium raw nectarine provides 67 calories, 16 g carbohydrate, 1.3 g protein, 0.6 g fat, 2.2 g dietary fiber, 1001 IU vitamin A, 7 mg vitamin C, 1.3 mg niacin, 5 mcg folic acid, 288 mg potassium, 7 mg calcium, 22 mg phosphorus, 11 mg magnesium, and 0.2 mg iron. The first oranges to be widely cultivated were bitter. Sweet oranges, which originated in India, were brought to Europe in the 15th century by the Portuguese. People were so grateful for this new sweet fruit that sweet oranges are named for Portugal in many languages. 40 Oranges and their juice are almost everybody�s favorite source of vitamin C, a vitamin whose many Benefits have been known for so long that we sometimes overlook them. Primary among them are that vitamin C is a powerful antioxidant, helps the body absorb iron, and is important to wound healing and heart health. Oranges also provide significant potassium and are a good source of calcium and magnesium (three minerals good for regulating blood pressure), as well as phosphorus, vitamin A, folates, and fiber. 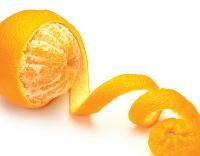 Oranges are a good source of citric acid, which plays a vital role in cell metabolism. Its citrus limonoids are being studied for their antiviral, antifungal, antibacterial, anti-malarial, and cancer-fighting properties. One raw navel orange provides 60 calories, 15.2 g carbohydrate, 1.3 g protein, 0.1 g fat, 3.1 g dietary fiber, 240 IU vitamin A, 75 mg vitamin C, 44 mcg folic acid, 1 mg sodium, 233 mg potassium, 52 mg calcium, 25 mg phosphorus, 13 mg magnesium, and 0.16 mg iron. The papaya was the first fruit tree to have its genome mapped. Originally cultivated in Mexico and South America, papayas are now grown in almost all tropical countries. Papayas are a rich source of antioxidants and anti-inflammatories, including lutein, alpha- and beta-carotene, and vitamin C. They also provide folate, pantothenic acid, potassium, magnesium, and fiber. Papayas contain the enzyme papain, which breaks down protein fibers and is used to tenderize tough meats, and which may also help with digestion. This ability to break down proteins allows papain to help relieve the pain of insect and jellyfish stings and bites, because the toxins in these venoms are also proteins. But in November 2008, the FDA moved to ban topical (skin) treatments made with papain to avoid allergic reactions, which can be severe. Papaya leaves were once brewed into a tea that was thought to prevent malaria, but there is no scientific evidence that the tea has the desired effect. Papaya has also played a role as a folk medicine contraceptive. In some animal studies, large amounts of green papaya fruit seem to negatively affect fertility in both males and females, possibly by suppressing the hormone progesterone. One medium raw papaya provides 119 calories, 29.8 g carbohydrate, 1.9 g protein, 0.4 g fat, 5.5 g dietary fiber, 863 IU vitamin A, 188 mg vitamin C, 1 mg niacin, 116 mcg folic acid, 781 mg potassium, 9 mg sodium, 15 mg phosphorus, 73 mg calcium, and 30 mg magnesium. Peaches are a low-calorie, very juicy fruit and a good source of �portable water� for hot days. Another hot weather benefit is their high potassium content, which helps regulate hydration and can therefore help you avoid muscle cramps. 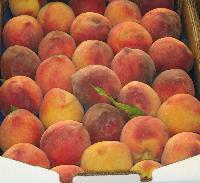 Peaches are also a good source of vitamins A and C, beta-carotene, and lutein�all beneficial to preserving vision. Peaches also have a reputation as a laxative, courtesy of the combination of high fiber and high water content. In the lab, extracts from peaches have slowed the growth of some types of breast and colon cancer cells. In a National Cancer Institute study, people who consumed more peaches and related fruits, such as nectarines and plums, were less likely to develop cancers of the mouth, throat, or larynx. One medium raw peach provides 37 calories, 9.7 g carbohydrate, 0.6 g protein, 0.1 g fat, 2 g dietary fiber, 465 IU vitamin A, 6 mg vitamin C, 3 mcg folic acid, 171 mg potassium, 4 mg calcium, 10 mg phosphorus, and 6 mg magnesium. Pears are rich in vitamins B2, C, E, and K, as well as copper and potassium, and they are a great source of fiber. Pears are the least acidic of common fruits, so they are recommended for both babies and adults with gastric reflux or a tendency to heartburn. An Australian project on the influence of foods on asthma found that pears (along with apples) seemed to protect the young adults studied both from asthma attacks and from developing asthma. And although any food may cause an allergy in a person sensitive to it, pears are so rarely allergenic that they are included in the allergen-restricted diets used to determine and control food allergies. Red-hued pears, such as Red Anjou and Red Bartlett, have more antioxidant anthocyanins than the green, yellow, and brown varieties. One medium pear provides 103 calories, 27.5 g carbohydrate, 0.68 g protein, 0.21 g fat, 5.5 g dietary fiber, 41 IU vitamin A, 7.5 mg vitamin C, 0.28 mg niacin, 8 mcg vitamin K, 16 mg calcium, 12 mg magnesium, 20 mg phosphorus, and 212 mg potassium. The common, or American, persimmon is native to the eastern United States and is one of the Virginia foods described by Captain John Smith in 1612. Red-orange in color, persimmons are a good source of antioxidants and carotenes, vitamins A and C, and both soluble and insoluble fiber. The Japanese persimmon originated in China and is grown throughout Asia, as well as in California. Larger than the American version, it contains many of the nutrients of its American cousin but has less vitamin C and calcium per gram. Asian persimmon varieties are divided into two groups: astringent and non-astringent. Astringent persimmons (such as the Hachiya) are high in tannins, which can serve as antioxidants but also render unripe fruit inedible. The non-astringent varieties (such as the Fuyu) contain fewer tannins and lose them earlier in the ripening process, so these pears can be consumed either while still firm or when soft. In traditional Chinese medicine, the Japanese persimmon is believed to regulate ch�i, the vital energy. Raw, they are used to treat constipation. Cooked, they are used to treat diarrhea. Some varieties are high in the antioxidant tannins catechin and gallocatechin. (american persimmon) One medium raw American persimmon provides 32 calories, 8.4 g carbohydrate, 0.2 g protein, 0.1 g fat, 1.6 g dietary fiber, 17 mg vitamin C, 78 mg potassium, 7 mg calcium, and 7 mg phosphorus. ( japanese persimmon) One medium raw Japanese persimmon provides 118 calories, 31.2 g carbohydrate, 1 g protein, 0.03 g fat, 6 g dietary fiber, 12.6 mg vitamin C, 270 mg potassium, 13 mg calcium, and 29 mg phosphorus. Pineapples are another food, like papayas, that contains an enzyme that breaks down proteins. In the case of pineapples, the enzyme is bromelain. In addition to making pineapple a good meat tenderizer, bromelain helps block some metabolic products that contribute to inflammation, making it a good anti-inflammatory. Isolated bromelain has been used to treat sports injuries, digestive problems, swelling, and other problems involving inflammation. Its action on proteins has also been found to reduce blood clots, especially in arteries. Pineapple is a good source of manganese, vitamin B1, and vitamin C.
One cup of raw pineapple pieces provides 76 calories, 8.4 g carbohydrate, 0.2 g protein, 0.1 g fat, 2.3 g dietary fiber, 17 mg vitamin C, 78 mg potassium, 7 mg calcium, and 7 mg phosphorus.